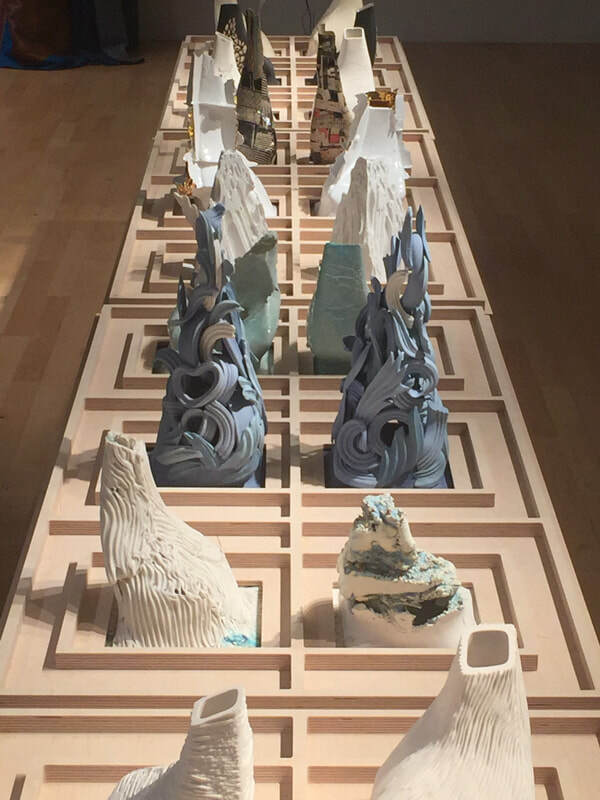 Ceramic materials offer unique opportunities for environmental design, not only in ecological terms, but also in embracing the convergence of advanced engineering processes with art and craftsmanship. 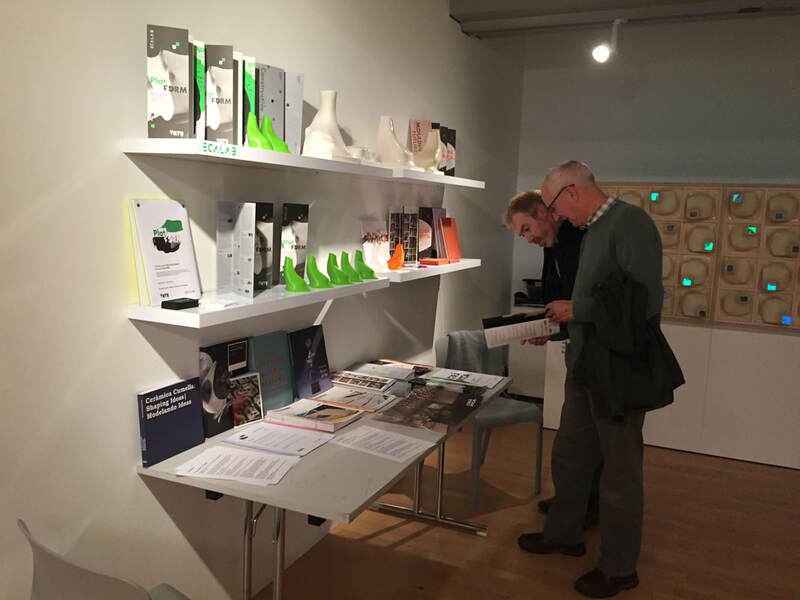 The research of ECAlab looks at innovation through the fusion of past and present production methodologies and the collaboration between different disciplines, with the aim of generating a more meaningful and sustainable architecture that supports local heritage and fosters social sustainability. 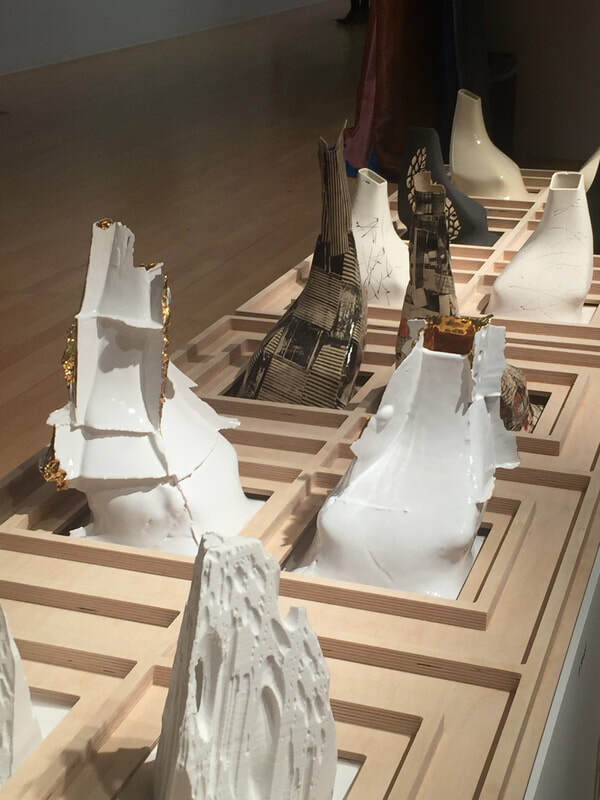 In PlatFORM we are interested in what ceramics can bring to architectural place-making beyond its materiality and craftsmanship. 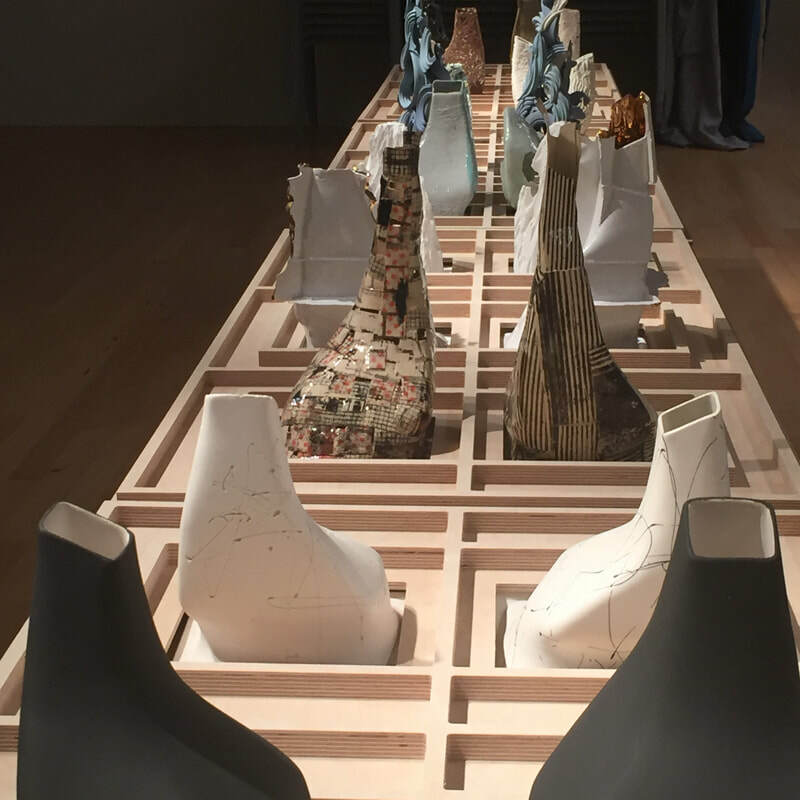 We are collaborating with ceramicists and sound artists to reflect on the performative potential of the same ceramic object, to explore the way in which ceramic architectures can enhance our experience of space. 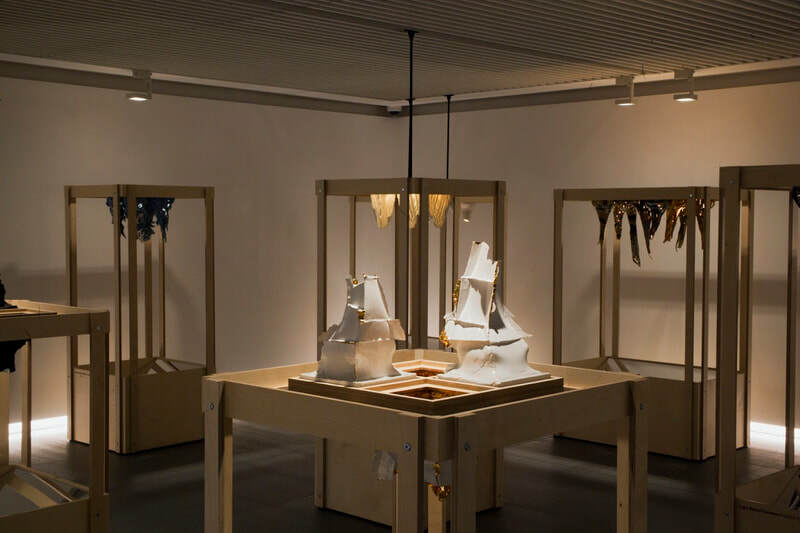 The close encounter between ceramics, light and sound offers an intense sensorial experience for the visitor and a new perspective on the potential for architectural surfaces in the generation of personalised ambient space. 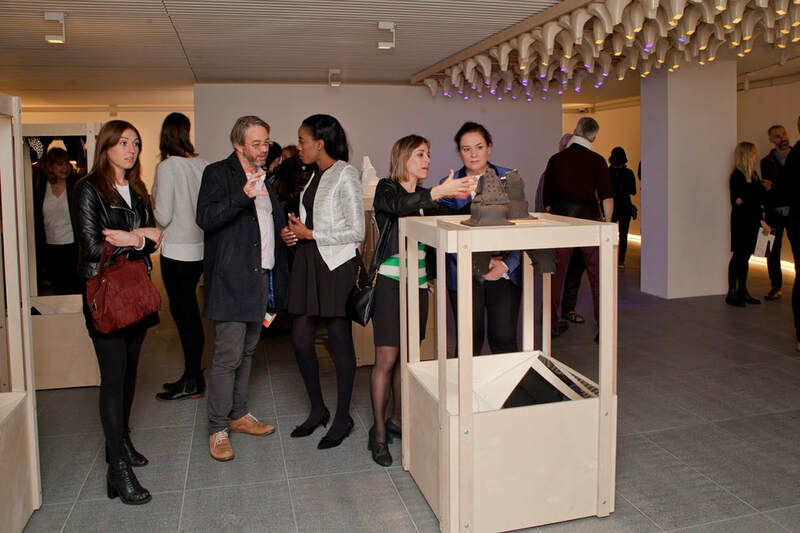 PlatFORM is presented through TATE Exchange as an interactive installation that morphs through serendipitous encounters with the audience. 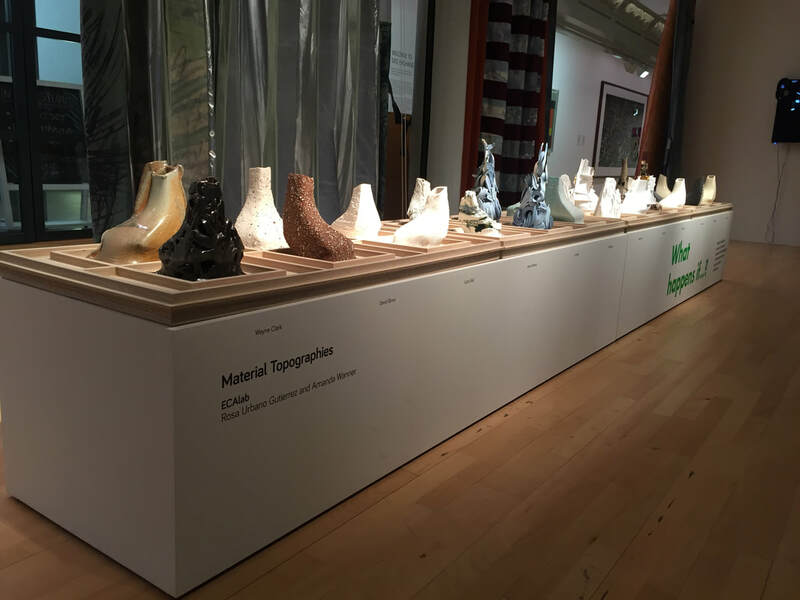 Composing Topologies This component of the exhibition explores the ceramic surface as a meta ‘musical’ instrument that allows visitors to embody the role of composers of their own environment. This surface consists of 80 engineered cones. 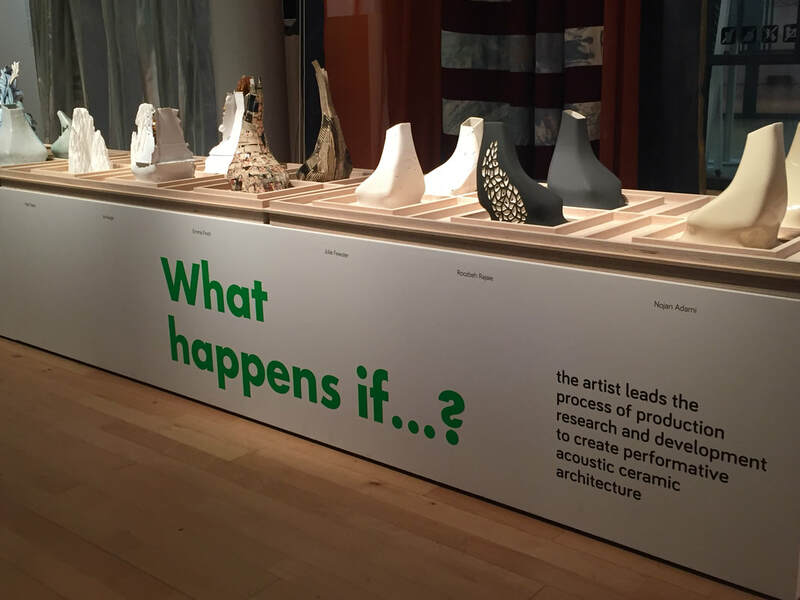 Half of these cones are active sonic chambers used to reinterpret the ceramic surface by exploring its potential as an acoustic creator. 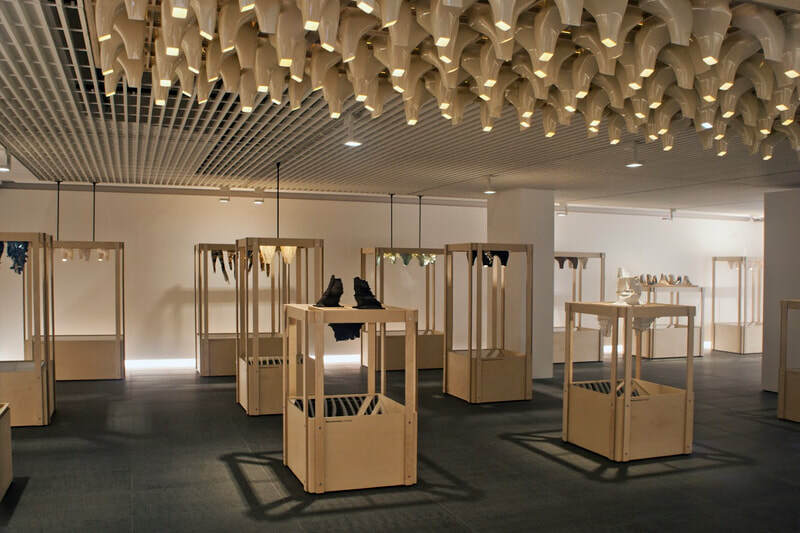 By manually shaping the sounds created by each of the 40 performative cones, visitors can collectively (re)create new musical environments. Sound modulation is also connected to colour and light performance. 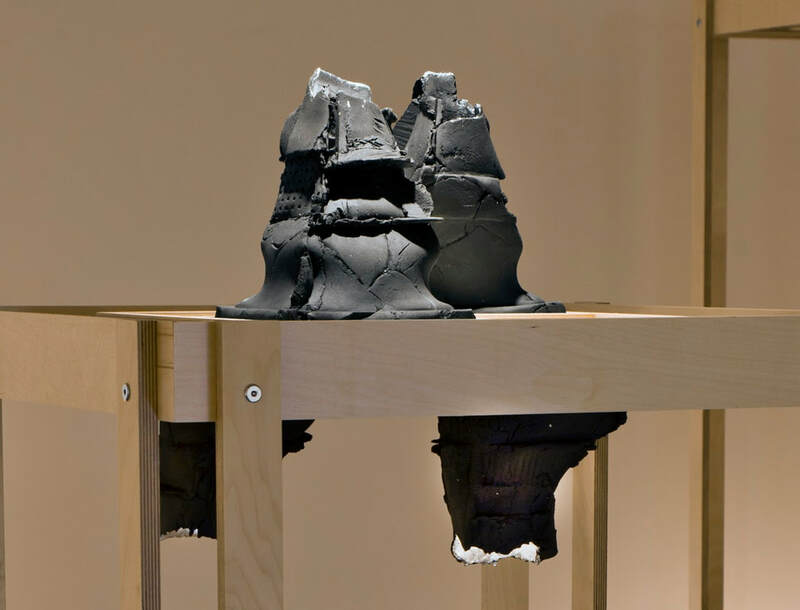 When the visitor leaves, his/her own musical and luminous footprint will remain in the space, until the next visitor interacts with the ceramic surface. 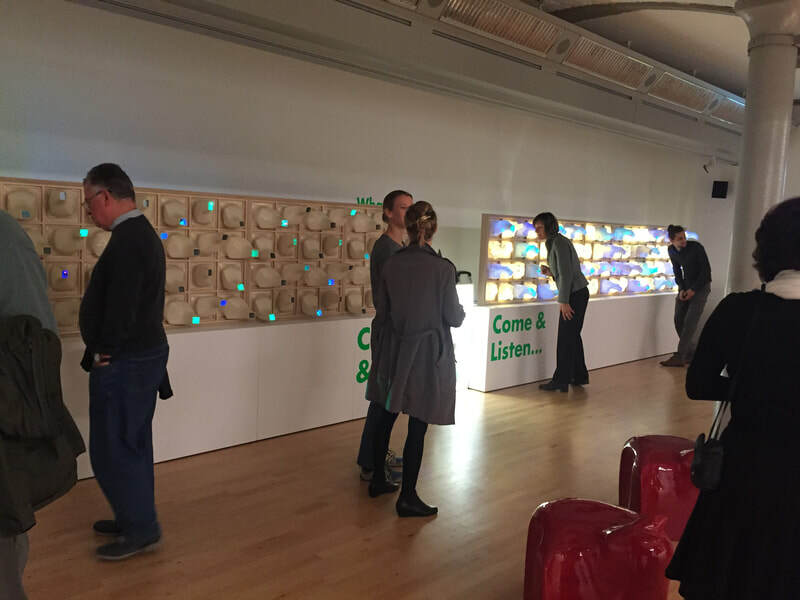 Interface Soundscapes This ceramic surface allows visitors to connect and be transported to different locations in the city, through listening to characteristic soundscapes of Liverpool. These journeys stimulate the discovery and provoke an active reflection on the qualities of the acoustic environment that surrounds us in everyday life, often drowned out and dominated by visual stimulation. For this surface, we have generated three new ceramic sinuous shapes, with the aim to create acoustic resonators. The internal cavities of these shapes create a chamber, emulating seashells, as natural resonators capturing and retaining acoustic essences. 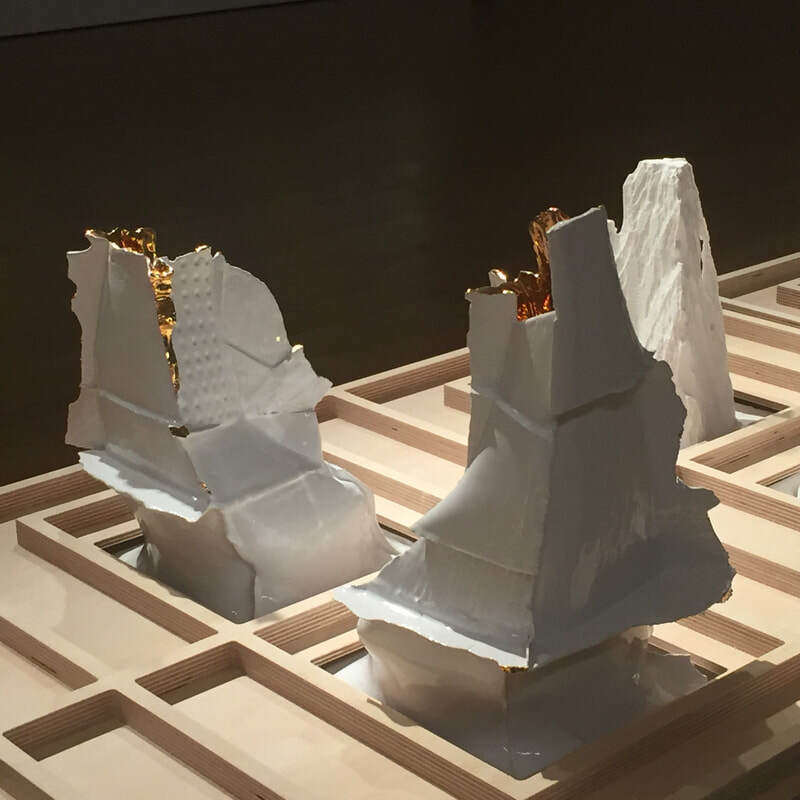 Material Topographies This component of the exhibition reflects on the production of architectural ceramics, the material and phenomenological qualities that they offer to architecture. 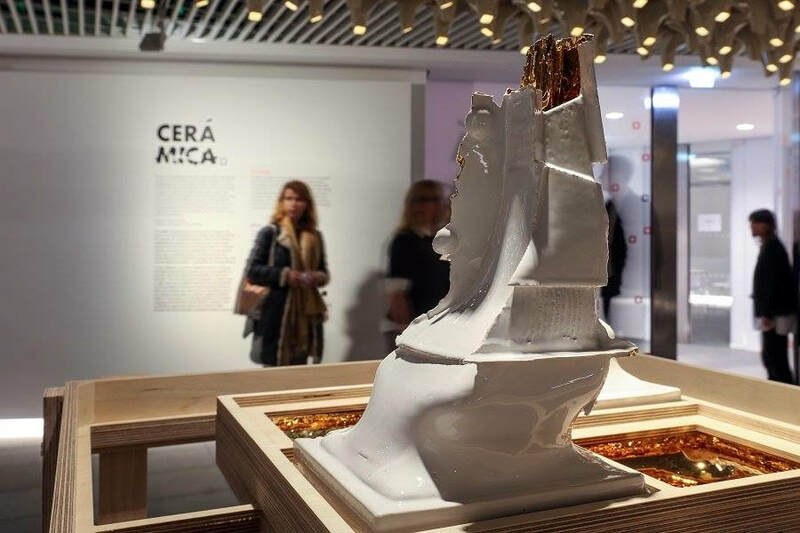 It presents works produced for Cerámica by a selection of national and international ceramicists to explore the engineering principles of a cone form and, interpret it using different clay bodies, firing techniques and their own unique decorative approaches. 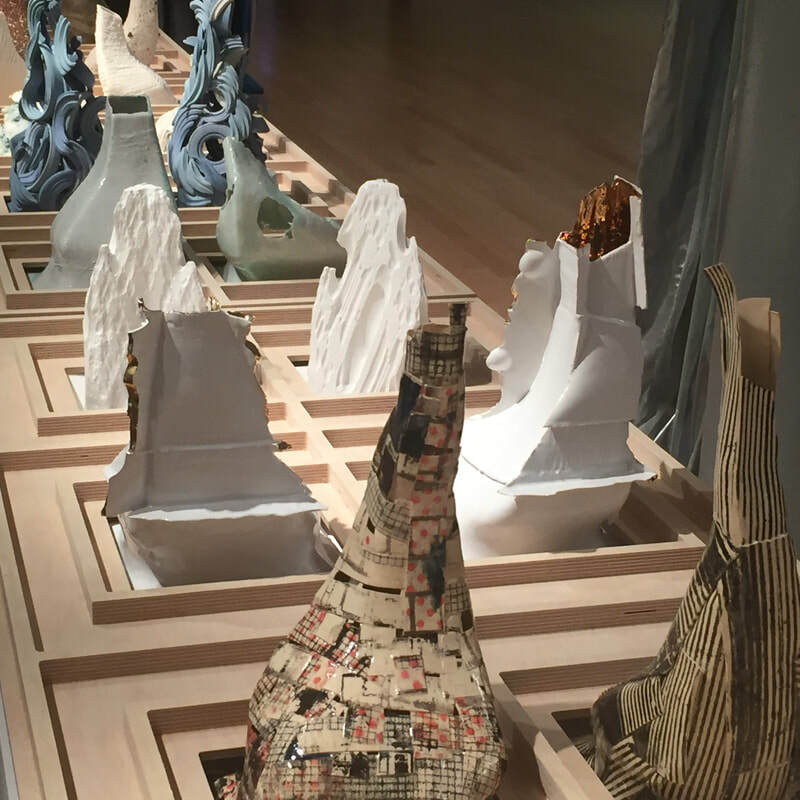 A collaboration between ECAlab and a selection of national and international ceramicists examining how traditional ceramic techniques and digital engineering processes can be used together to produce more meaningful and sustainable architectural elements. It is widely recognised that the decoration of objects and spaces, and the development of complex technologies defines our species. Our combined dexterity, creativity and ability to cooperate has enabled us to manipulate our environment and connect with each other on a global scale. 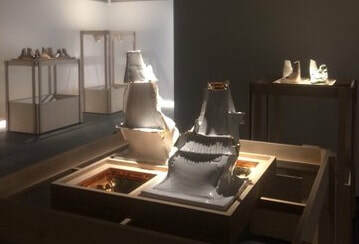 Pre-industrial making techniques and the proliferation of technology are often seen as opposing forces, one favouring the local – the development of vernacular language and context; the other favouring global processes – optimisation and standardisation. 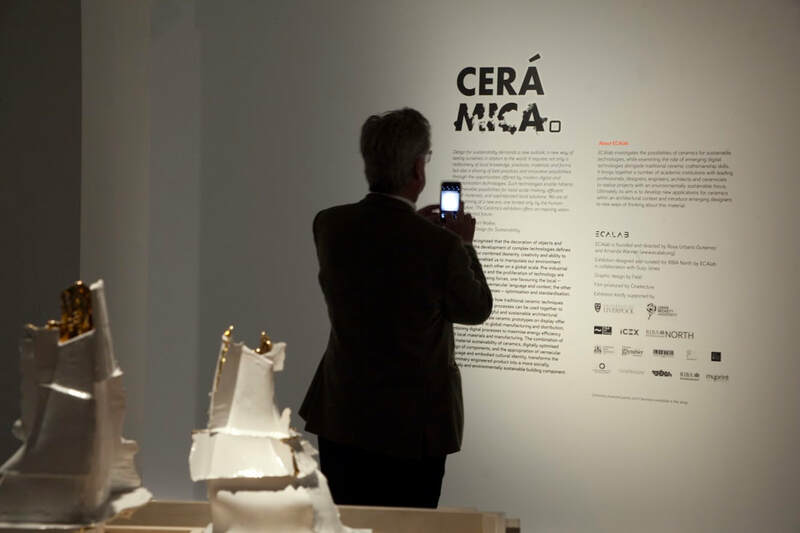 Cerámica featured full-scale prototypes of light-diffusing facades and ceilings hosting individual vernacular languages, supporting heritage and local identity, and transforming a preliminary engineered product into a more socially, ethically and environmentally sustainable building component. 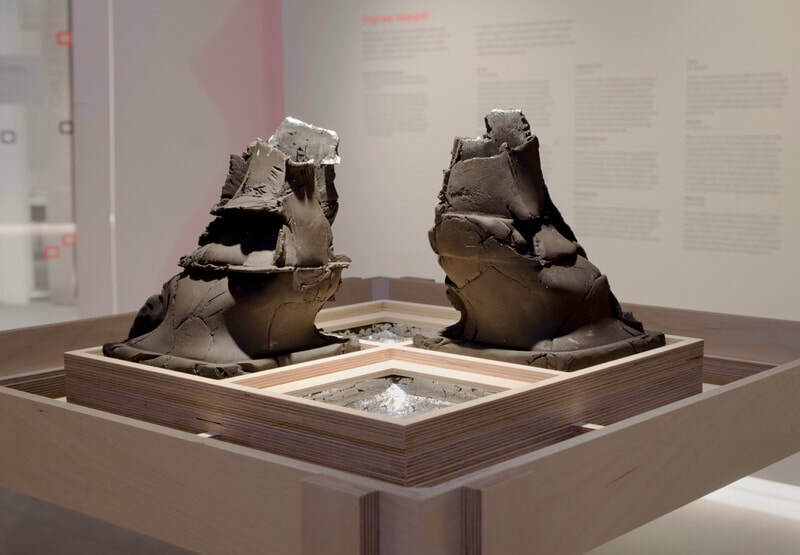 Each artist reinterpreted an optimised object developed in a scientific environment to explore the expressivity of clay and its potential for cultural embodiment and transformation through the hand of the craftsman. 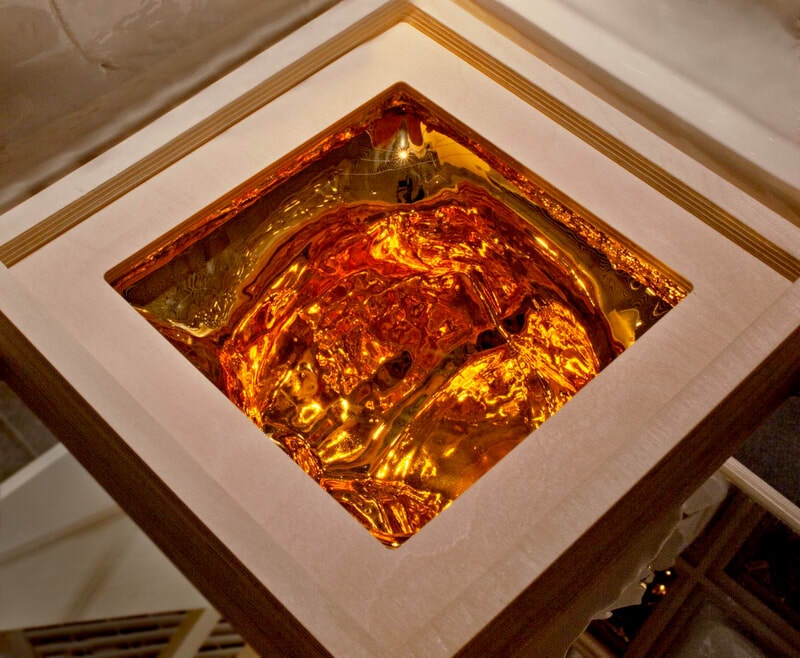 Jo Keogh questions industrial methods of mass production to create sublime and highly individual pieces. 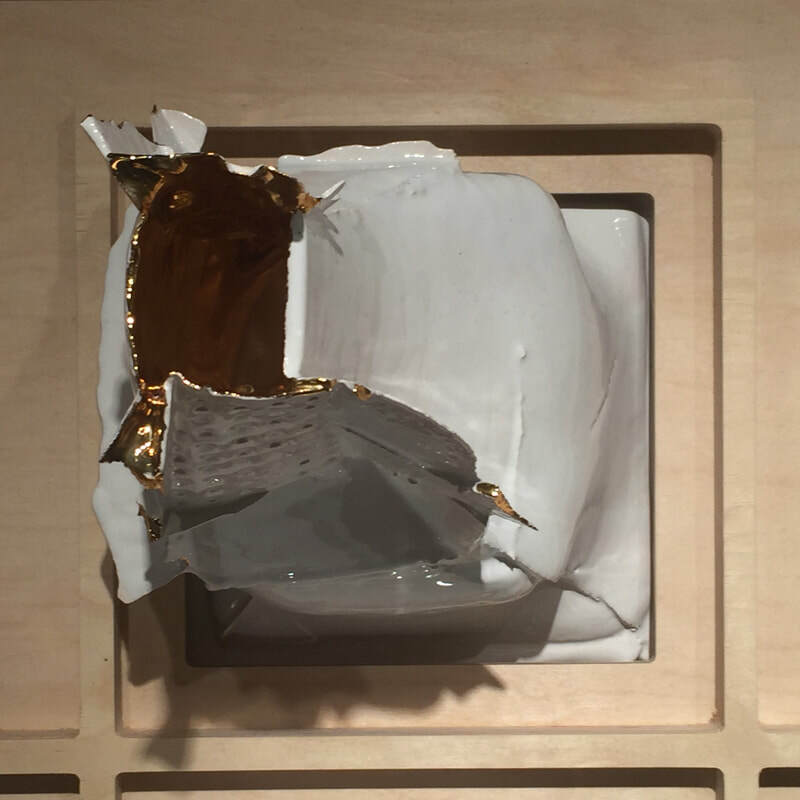 Standardised plaster moulds are butchered and tethered back together to expose spine-like projections formed by the moulding seams. 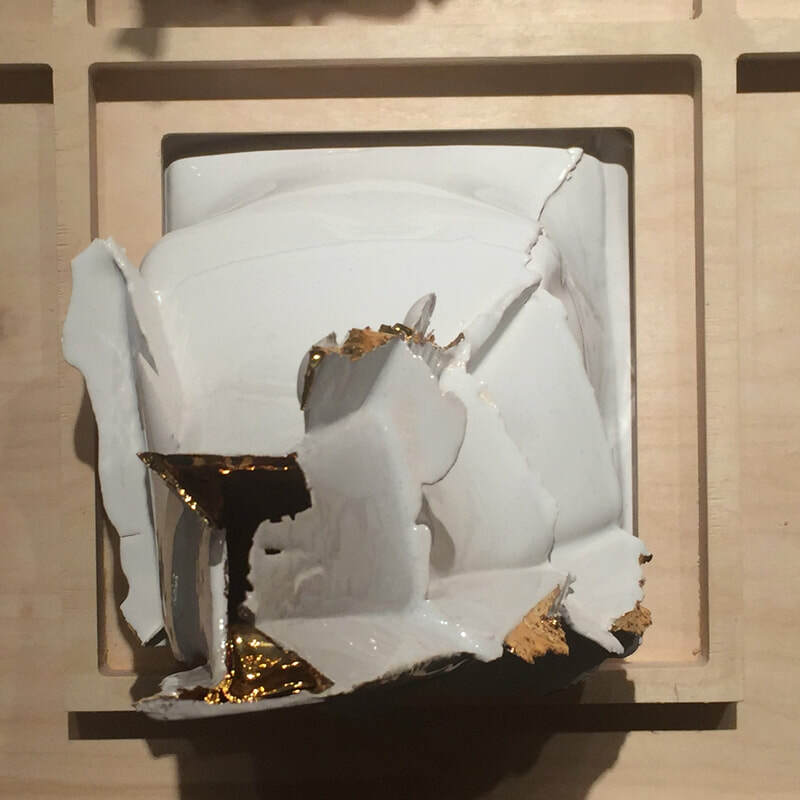 Thin, fragile, sharp slip cast porcelain edges with glowing gold lustre are juxtaposed against black stoneware slab works which reflect the light with silver leaf. Photography courtesy of Chema Castello.